State College, PA - 10/22/2016: Penn State QB Chase McSorley dives for extra yardage. 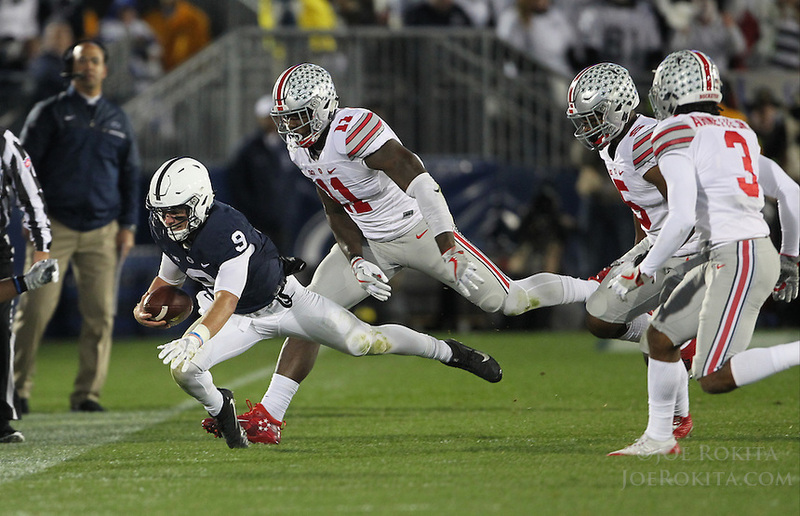 McSorley rushed for 70 yards during the game and was 8-23 for 154 yards passing. Penn State upset #2 Ohio State by a score of 24-21 on Saturday, October 22, 2016, at Beaver Stadium in University Park, PA.